While there is a lot of talk regarding the effect of nicotine, the real culprit in smoking tobacco that people usually fail to realize is tar. Tar is composed of various byproducts arising out of the combustion of tobacco and the chemicals contained in tar have been proven to be extremely toxic and carcinogenic. When you inhale tobacco smoke, the tar gets carried inside your system and pollutes whatever it comes in contact with, right from the teeth to the cells in the lungs. As a result of this toxic exposure, smokers get afflicted with a large number of health issues like a chronic cough, various cancers, cardiopulmonary disease, a decrease in virility and ability to reproduce, among others. When you use electronic cigarettes, you end up eliminating the tar consumption. Inhaling only the clean vapor, containing the stimulant, reduces assorted health risks of smoking tobacco. Substituting electronic cigarettes for tobacco is a far safer option if you cannot quit nicotine dependency. Unlike smoking tobacco, electronic cigarettes do not result in any discoloration of your fingers and teeth. This is because the vapor of the e liquid does not contain any tar that is produced when the tobacco burns. The vapor also does not cause any irritation and dryness of the eyes, the formation of eye bags and stretch marks or wrinkling of the skin that are common side-effects of smoking tobacco. In other words, if you switch to using electronic cigarettes, you will look fresher and more attractive instead of appearing older than your actual age. According to many researchers, secondhand smoke inhalation is the cause of disease among people in the proximity of tobacco smokers. Unless you are in a no smoking zone, it is impossible for you to avoid inhaling cigarette smoke when others around you are smoking. When you switch over to electronic cigarettes, you will do a world of good not only for yourself but also for others around you, including young children, the elderly, and those with respiratory issues like asthma and bronchitis. You will see that the quality of your interaction with those around you, including family and friends improving substantially because they are no longer having to inhale noxious smoke. While the best way of taking care of your own health and of those around you is to completely quit smoking, switching to vaping is a very good alternative if you find it impossible to survive without the high produced by nicotine. 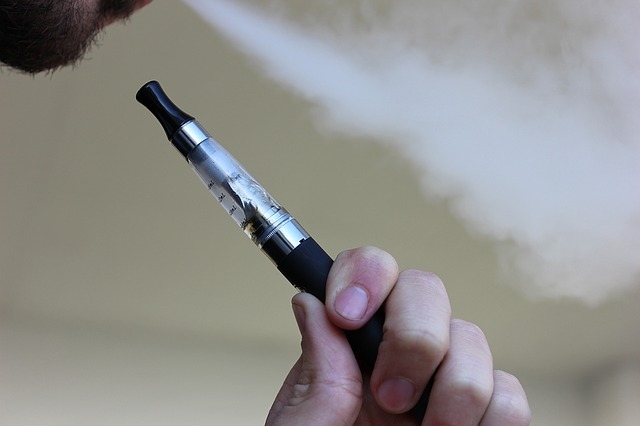 While it has been clearly established the smoking cigarettes is a health hazard, there is a mist of confusion and misunderstanding on viable alternatives like electronic cigarettes.